Snapchat is gearing up to launch a slate of original television shows, using the social network's unique, short-lived media hook as a means to create content that lasts between 3-5 minutes long. Snapchat has signed original show deals with a collection of companies over the past few months, including NBCUniversal, Turner, A+E Networks, Discovery, BBC, ABC, ESPN, Vice Media, Vertical Networks, NFL, and Metro-Goldwyn-Mayer. In a report by The Wall Street Journal today, sources familiar with Snapchat's plans stated that the company is also discussing deals with CBS and Fox, and is ready to close a deal with Scripps Networks Interactive, which owns Food Network and HGTV. This latter deal is said to result in "offshoots" of current TV shows including House Hunters and Chopped for Snapchat. Snapchat's current goal is to have between 2 and 3 new episodes of original TV shows debuting every day by the end of 2017. The shows will be housed in the Stories tab of Snapchat, somewhere among the content users see from their friends and the existing media-created news posts. As Snapchat has held meetings with its TV partners, the company is said to have given "extensive and detailed notes" in an effort to launch a unified slate of shows. Some versions of Snapchat's TV initiatives have already launched, including an interactive audition experience themed after The Voice, but the company is said to now be "looking for scripted dramas, daily news shows, horror, documentaries, animated shows, and more." While media companies have had various disagreements with YouTube and Facebook, TV companies are flocking to create original shows for Snapchat. That is in part because Snap executives including Mr. Bell, a former News Corp. executive, embrace certain old media values like scarcity and promoting a select group of premium content above user-generated fare. Mr. Bell says he wants to help grow TV audiences by exposing Snapchat's young user base to their brands. "I don't want to be a TV killer," Mr. Bell says. To this extent, Snapchat might change some fundamental aspects of the social network in order to encourage binging and catching up with its shows, instead of sticking to its ephemeral content strategy which removed some past shows from the service after 48 hours. 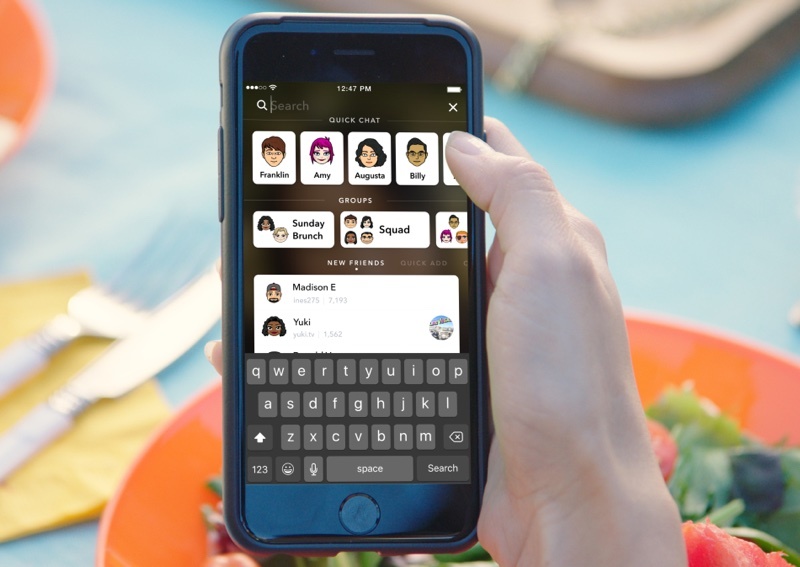 For the new slate of TV shows, it's still unclear when exactly Snapchat plans to begin the launch, but users can at least expect them to begin debuting by the end of the year. Many social networks are looking to add original television content to their services, with Twitter just this week detailing its strategy for launching a 24/7 live streaming news network through a partnership with Bloomberg and various other companies. While Facebook hasn't yet launched original video content of its own, it is building a social network that is more than ready to do so in the future, with multiple updates and app debuts centered around improving and prioritizing video-related content. So essentially web clips that Agents of SHIELD did, the walking dead, fear the walking dead and others....but on snapchat. How old are you? I'm 32 and I can't see the point in the whole of snapchat. LOL ... I guess I have to say late 40s now. If this is where our attention spans are headed (1 hour or 30 min shows to 3-5 mins), I'm scared for humanity. I'm 31 and I can't see the point in twitter, instagram, or Snapchat. Facebook is plenty for my "old guy" needs! I'm 27 and Snapchat definitely contributed to the breakup with my 21 year old childish girlfriend. I really, really, really don't see the merit in Snapchat. I've thought of starting a Snapchat called "anti-snap" or something. Where I take pictures of the dumbest crap (which people do anyways) and I'll put comments such as "isn't my life amazing? VALIDATE ME". This story put the nail in the coffin- this s**t for brains pile of skin can't put Snapchat down when she's in a f**king gurney after a major car crash. I'm done. I think I'm getting too old ... what is the point of a 3-5 minute "show"?